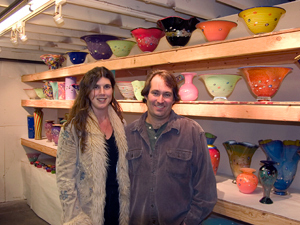 Ken and Ingrid Hanson are a husband and wife glass blowing team, who has been collaborating on their work since 1992. Ken and Ingrid Hanson have worked together since their early college years. Although traditional Italian and Swedish glass-blowing techniques inspire them, they employ a bold and innovative color palette to create their unique and contemporary art glass. While both artists design and create various works of art in glass, the finished pieces are often achieved through a process of interchanging and modifying ideas. While Ken is inspired by balance and ordered patterns, Ingrid draws inspiration from nature and objects in her environment. 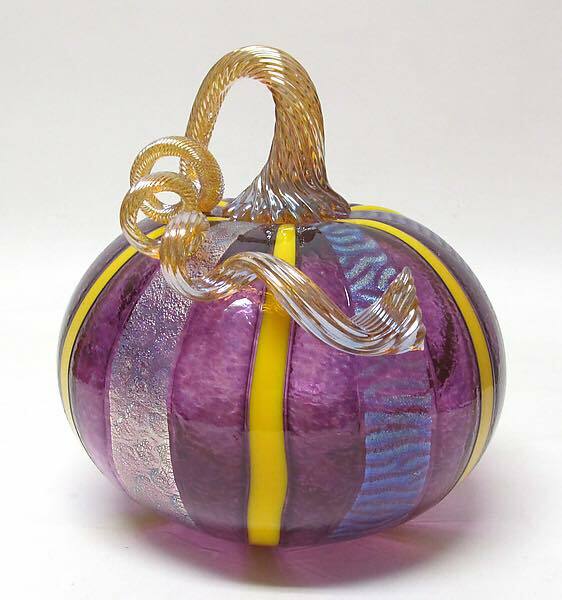 Through collaboration, they are able to share their ideas, skills and creativity to create unique blown art glass that is balanced with both influences apparent.